Joe: Hey, it’s Joe. This next question is “Joe, what are the best sources of motivated seller leads that I can use?” There’s three of them that I like specifically that I’ll talk about here today. The first one is for sale by owner, or for rent by owner. I’ll consider that as one type of lead. Absentee owner, and expireds. There’s also another one with no mortgages. I like absentee properties that have no mortgage. So let’s talk about what each of those is. For sale by owner, you can get those from craigslist, you can get them from Zillow, Trulia, Redfin, you can get them from any for sale by owner site. Same with for rent by owner. 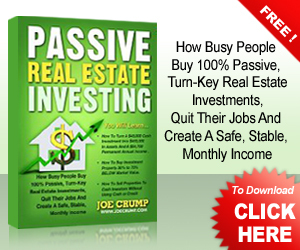 Joe: You can contact those people and turn those properties – every one of those people wants to sell their property. 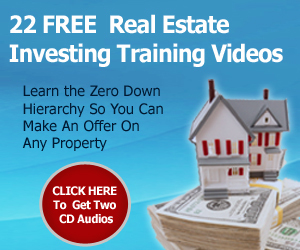 They may not sound motivated to you, they may not be willing to give away a ton of their equity, but they’re still motivated because they want to sell their property. They wouldn’t be wasting their time on craigslist and screwing around with taking phone calls unless they were serious about selling their property. Joe: Now, the problem is they don’t have a clue. They don’t realize that they can’t sell their property that way. 85% to 95% of the people that try to sell for sale by owner don’t succeed. A few people do. I mean, they win the jackpot, they win the lottery. But most people don’t succeed. So, they need help, they need your help, and you can actually make them more money than if they go and work with a realtor. Joe: If they work with a realtor they have to pay a realtor fee. They’re going to get their cash out, but they’re going to make less money because they’re going to have to pay that 7%, 8%, 9%, 10%, 12% to a realtor, the expenses of, you know, closing costs and repair costs and all the other expenses, holding costs, to try to sell that property. Where you could move it very quickly on a lease option, get them full price for their property, get a tenant in there who’s paying them cash flow, getting them the tax benefits, the depreciation on the property, get them the appreciation on the property if that lease option buyer doesn’t buy, which is likely. Joe: So they’re going to get their appreciation on their property when that person finally moves out. They’re going to get the buy down on their note every month if they have a mortgage on the property. They’re going to get their principal that buys down their note every month. So there’s lots of advantages to selling your property on a lease option. 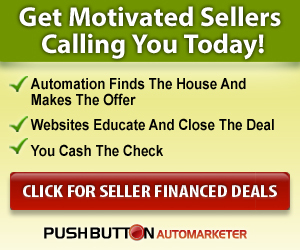 Those are good leads to go after because they are truly motivated, they truly want to sell. So don’t every think that just because they’re for sale by owner that they’re not motivated. Just because they won’t sell under market value doesn’t mean that they don’t want to sell their property. Joe: And there’s two reasons that leads look at you for the possibilities. They’re either going to sell because of need, or because of greed. You know, the need motivated is one thing. Greed motivated is something else. Need motivated is maybe they don’t have as many options so they’re motivation level may seem higher to you. But the greed motivated, those are good, too, because you can actually help them make more money. They’re going to thank you for helping them make more money and you’re going to make money doing it. Joe: So, for sale by owner, for rent by owners, that’s what we use in the For Rent Method. That’s the kind of leads that we attack with the Automarketer. And those are ones that I really strongly suggest that you use. 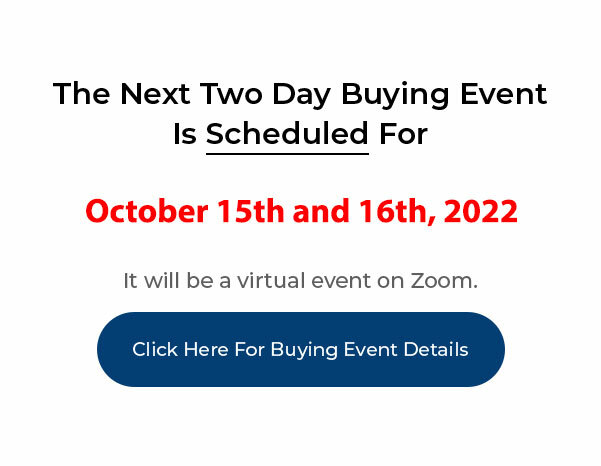 Joe: Now, I’m going to date this video real quickly, because I’m not sure when we’re going to come out with this, but I can tell you right now that we’re working on an absentee lead generation process that is integrated with the Automarketer. So that’s coming up really soon and hopefully it’ll be out by the same time this video is. But I’ll be announcing it when it comes out, but I’m really excited about it. So, absentee owners are people that have a tax bill that’s mailed to a different place than the house itself. So if you’ve got a property and if that owner doesn’t live in that property they’re going to have a separate address where they’re going to have their tax bill mailed to. Joe: And those are people we can go in and we can search the tax assessor’s office and pull a list of people that are absentee owners. Then we can contact those people either through snail mail which is expensive, or through ringless voice mail where it sends a voice mail directly to their voice machine on their phone. And those have been extremely cheap leads, you know, compared to the $20 or $30 you’d spend for snail mail. Snail mail’s good, too, it’s worth spending $20 or $30 on a lead. If you buy ten of those it costs you $200 and you put a deal together out of it that makes you $20K it’s probably worth spending you know, a couple hundred bucks on leads. You just have to know how to do it. Joe: What I suggest when you’re getting leads is, you get the cheap ones first and you get more of them first. And I’ll talk about that in just a second. Joe: The third type of lead is the expireds. Those are people that have listed their property with a realtor and usually for six months and then they didn’t sell and now they’re listing as expired. And now they have to figure out what to do with it next. Those people are depressed and they want to sell their property and they may not be able to lower their price enough to make it happen so maybe do a lease option or a subject to with them or a land contract, or maybe they can, maybe they’ll more motivated and they’ll sell it. They just need some help to get it done instead of using a realtor to make it happen. So expireds can be a wonderful source of leads. Joe: If you’re a realtor and you’re going after expireds, make sure those properties actually are expired before you start sending to them because you’ll get in trouble with your board if you don’t. 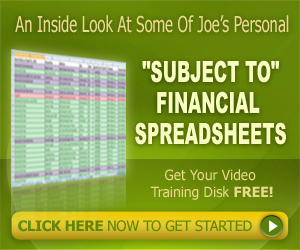 Joe: So, having these types of leads is very valuable. Now, having more leads is more valuable then having less leads. 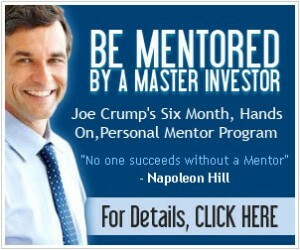 Some people will come to me and say, Joe, I only want this type of leads, this specific type of leads. And my answer to them is why? 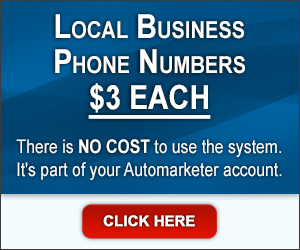 Why not get more leads? If you can get more leads for less money, there’s lots of ways you can convert them if you know what you’re doing. So, learn these different structures so you can do it as a For Rent Method, so you can do it as subject to, multi mortgage, land contract, learn these other structures. 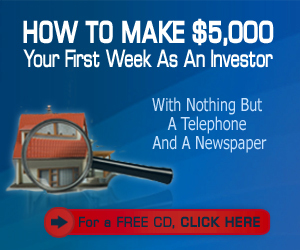 Learn how to do it with cash. 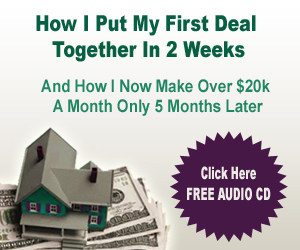 Joe: You learn how to do assignable cash deals. If you’ll learn those different techniques, then you can spread yourself out. You can go after the type of lead that’s easiest to get and cheapest to get and where it’s most plentiful. And you can get a ton of those leads. And then you can start narrowing down those leads and making offers to them based on what they need. Because you may go after a for sale by owner, but it may turn out to be an undervalue market deal. Joe: Or it may be somebody who’s got a second property that they’re willing to sell under market value. 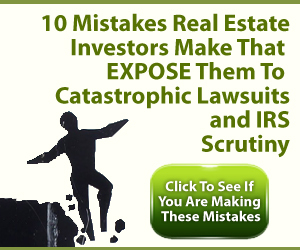 We run into investors all the time that we talk to that have 10 properties and suddenly, oh, I’d like to sell all my properties. So, so what kind of deal can you do? And we try to structure the deals based on what’s going to solve their problem and yet is going to still make us money. And we know all those zero down structures, so it makes it easy for us to structure a deal that’s going to make sense for everybody involved. We don’t have to go rip off anybody. We don’t have to twist anybody’s arm. We can say you can do it this way, this way, or this way – which one makes the most sense for you? All three of those ways will work for me. 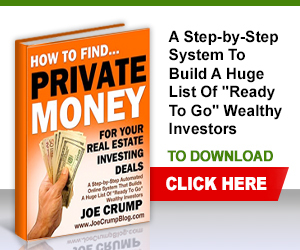 Joe: And if you can do that with a lot of leads, you can create a pipeline of leads that are constantly coming in using a system like the Automarketer that just has a constant stream of new deals coming in. Even it if’s just one or two extra leads a day, you know, you don’t need to have more than that to be able to create a business that is absolutely phenomenal. And, to be able to take the leads that you talk to, or the leads that didn’t return your call and put them into a follow up system that drips on them constantly and so they never can forget about you. Joe: The only way they get off your list is by asking to get off the list. And you know, we have automated ways to do that for them, as well. But that way, people are going to be calling you up say, hey, Joe, I’m ready to go. Or, I think I’m ready to do it now. It may be three months, six months, a year later, but now they’re contacting you saying, I’m ready to go. And they’ve already got your information. You’ve forgotten all about them. But your system hasn’t forgotten about them. The Automarketer hasn’t forgotten about them. It’s kept them in that drip system and it’s dripped on them for, you know, months, you know, and years, sometimes, and they’re still in the system. Joe: So, that’s how you want to develop those leads and those are the type of leads to go after. All right. Good luck with it. What Are The Best Sources For Finding Motivated Seller Leads?